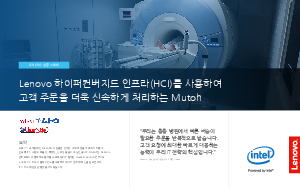 For Japan’s largest medical equipment wholesaler, Mutoh, ensuring its 300,000 products reach hospitals, clinics and health-centres on time is an imperative. Someone’s life depends on it. Without IT that wouldn’t be possible. But Mutoh’s IT infrastructure was unable to keep pace with the demands of the business. Every time an order came in, Mutoh had to pull data from different systems across multiple servers which was time-consuming. It needed an IT infrastructure that was fast, high-performing, reliable, stable, and flexible.